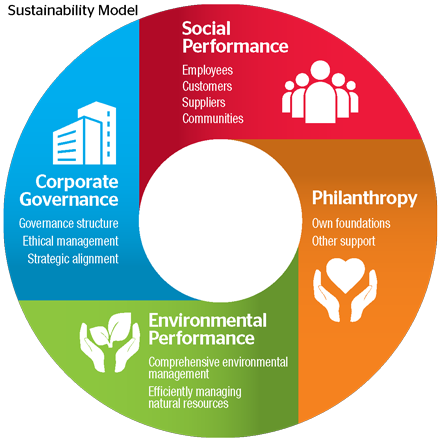 Corporate social responsibility or CSR as it is more commonly referred to is a well-recognised terminology and a most important topic, one taken seriously by the Ultranav Group. CSR activities are managed at group rather than company level and historically focus has been directed towards two main groups, namely our staff, their families and local communities, primarily in the Americas. Efforts made in such areas having proven to be the most effective in terms of achieving sustainable development. In terms of the environment the most notable recent development made was by Ultrabulk, Ultragas and Ultratank who became members of the so-called Trident Alliance. Trident Alliance is a network of shipping companies and other stakeholders with a shared interest in robust and transparent enforcement of reduction of sulphur emissions. The Ultranav Group support initiatives and means to stop corruption, hence it is a member of the Maritime Anti-Corruption Network. Whilst the Group is established globally, its roots and majority of its activities are based in the Americas, and focus remains on supporting the areas in most need where we are active in Argentina, Brazil, Chile, Colombia, Ecuador, Panama, Peru and Uruguay. Prime sustainability support in the Americas is on: poverty reduction, education, promotion of sport, culture and environment initiative. Considerable financial investment is made to support the Group Initiatives and which is complimented by considerable staff support in terms of their voluntary private time investment made to supporting the process and specific events.